Company located in Switzerland, was actived in 2002. Many experienced agents have been added since then. Each agent at Agror Import-Export GmbH is extensively trained and you can depend on these professional agents, they have more than 100 years of experience. The Company you would proudly recommend to your family, and neighbours. 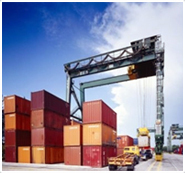 Agror Import- Export GmbH strives to offer individual service and develop a loyal client.